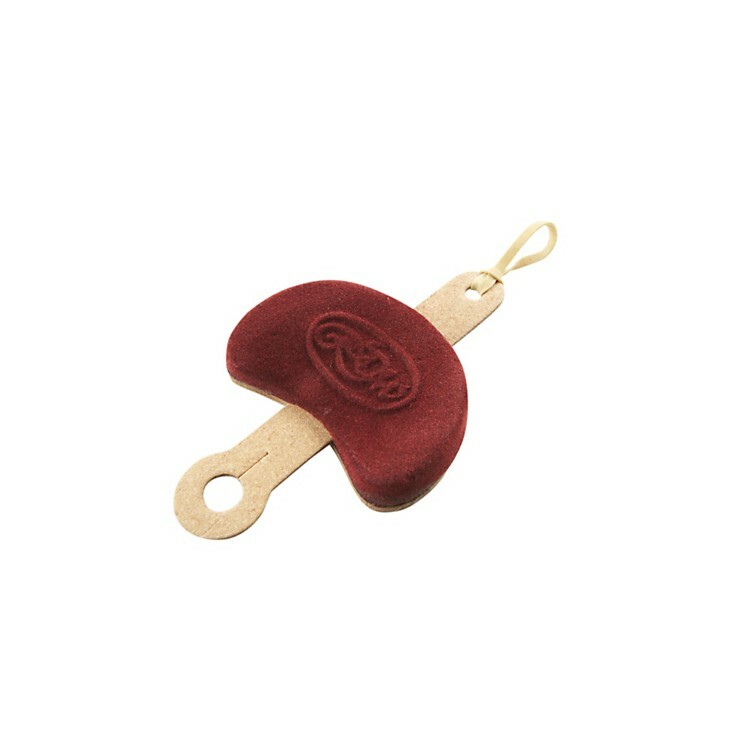 Kidney shaped cloth covered pad which attaches to violin with rubber straps. Known as the Poehland C-model violin shoulder rest. Fits 1/2 & 1/4 size violin or viola.